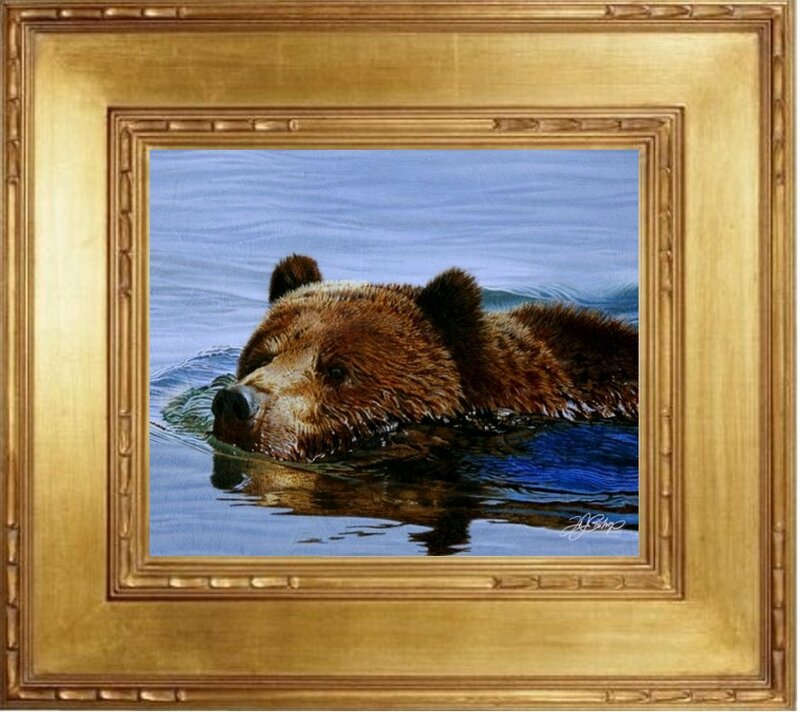 Also known as the North American Brown Bear or Silver Tip Bear the Grizzly is one of North America’s largest bears. Much larger than the more common Black Bear, large males can grow to as much as 1,500lbs…aside from size, the most distinguishable physical difference between the two bears is that the Grizzly possesses a large hump across its shoulders. 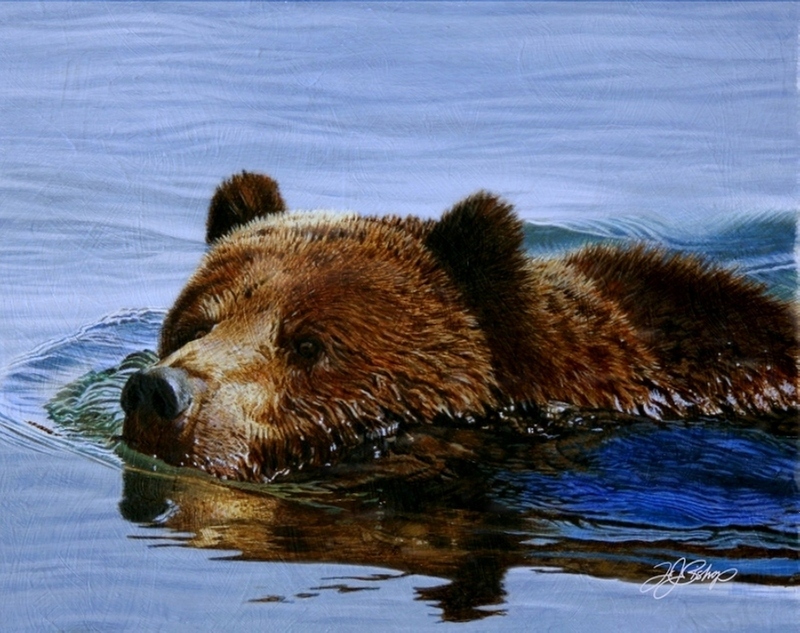 Being omnivores grizzlies will eat everything from grass and berries to large mammals such and Elk and Deer…They readily take to water either to catch fish, predominantly salmon, or just to cool themselves as with the young Grizzly that I’ve painted in “An Afternoon Dip” .